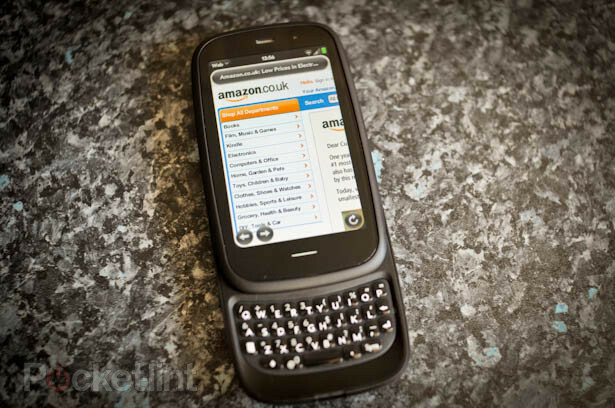 Amazon could be about to buy webOS from HP according to sources in the US. “A well-placed source tells us that HP is currently looking to rid itself of Palm as soon as possible, and that Amazon is the closest to finalising the deal, among a handful of contenders,” explains business focused website Venturebeat.com. HP bought Palm last year for $1.2bn, but has had a rough time with the company and its operating system. That rough time culminated in HP halting sales of its webOS tablet, the HP Touchpad, and webOS smartphones shortly after launch after they failed to ignite an Apple and Android loving public into switching. Since then the industry has been looking to see who would buy the business be it the hardware or the operating system that has failed to attract developers. Names have included HTC, Samsung, Qualcomm and now the latest in the rumour pot Amazon. According to Venturebeat’s sources and a healthy dose of speculation, Amazon is the perfect partner for a number of reasons. The first is that such a deal might be possible as Palm’s former CEO, Jon Rubinstein (who is now at HP), is on the board at Amazon. The second is that The Kindle Fire has been so heavily customized from Android that they might as well use an OS like webOS. “So, we’d like a partner that would allow us to expand the webOS ecosystem… There’s a variety of different sets of a characteristics to qualify as a good partner. I would say Amazon would certainly make a great partner, because they have a lot of characteristics that would help them expand the webOS ecosystem. As to whether there’s been discussions or not… that’s obviously not something I’m going to comment about,” Rubinstein said in July. That those three together, a bit of guess work, and some rumouring and you get the confirmation that Amazon will buy webOS for its Kindle devices of tomorrow allowing it to dodge having to use Google at all.